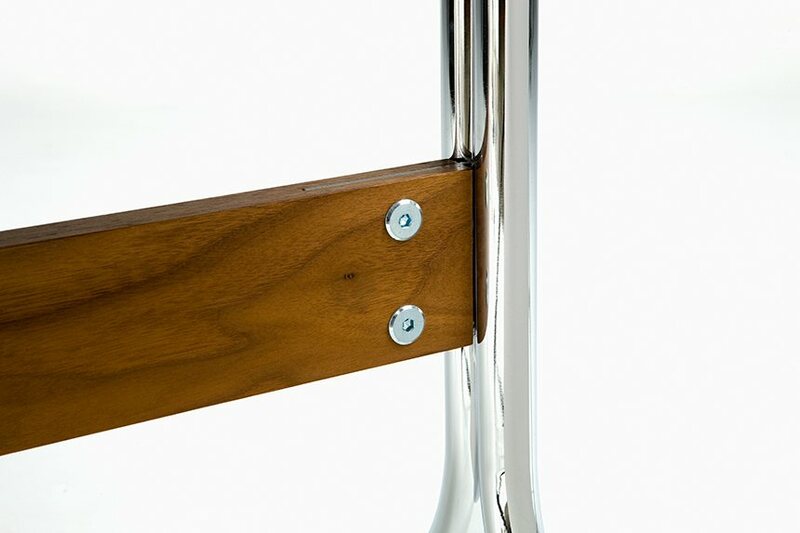 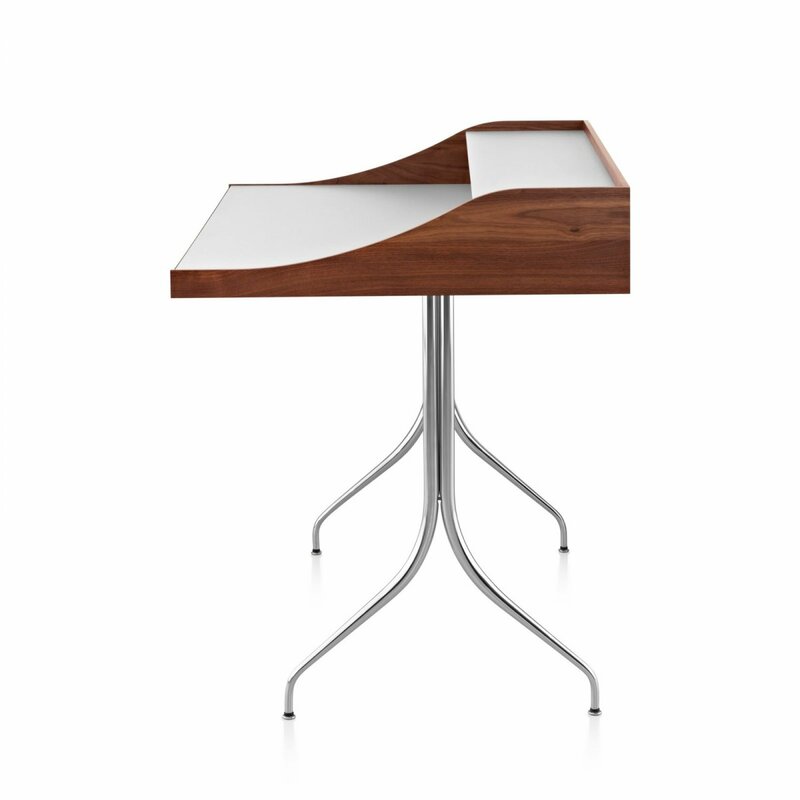 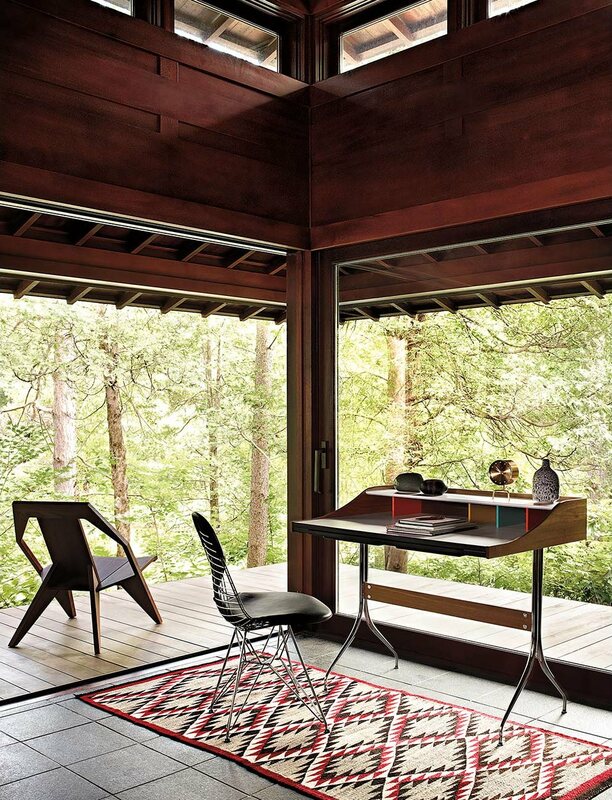 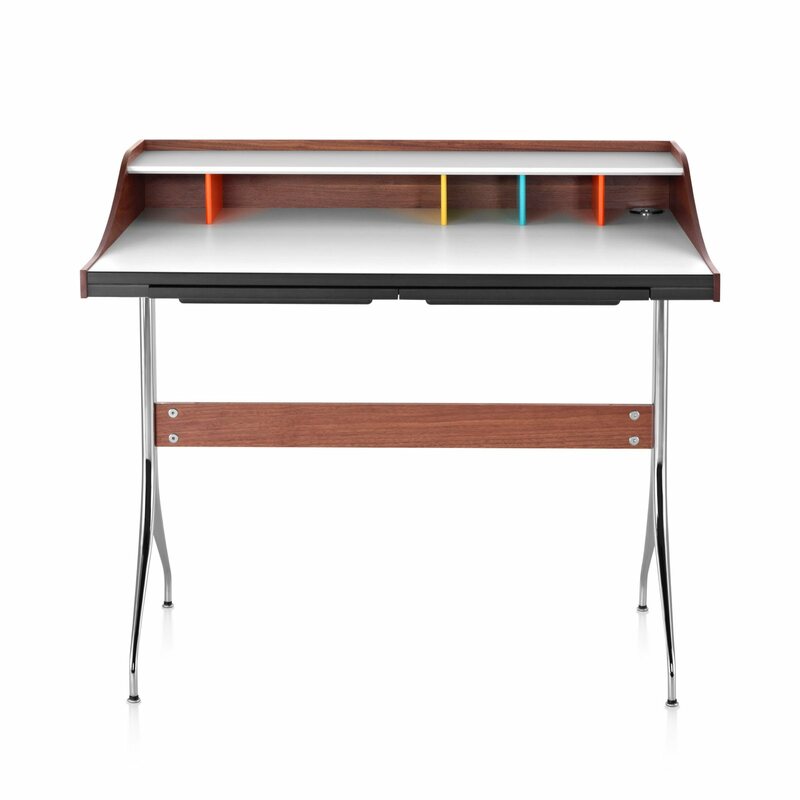 Nelson Swag Leg Desk is a functional desk with a retro aesthetic, designed by George Nelson for Herman Miller. 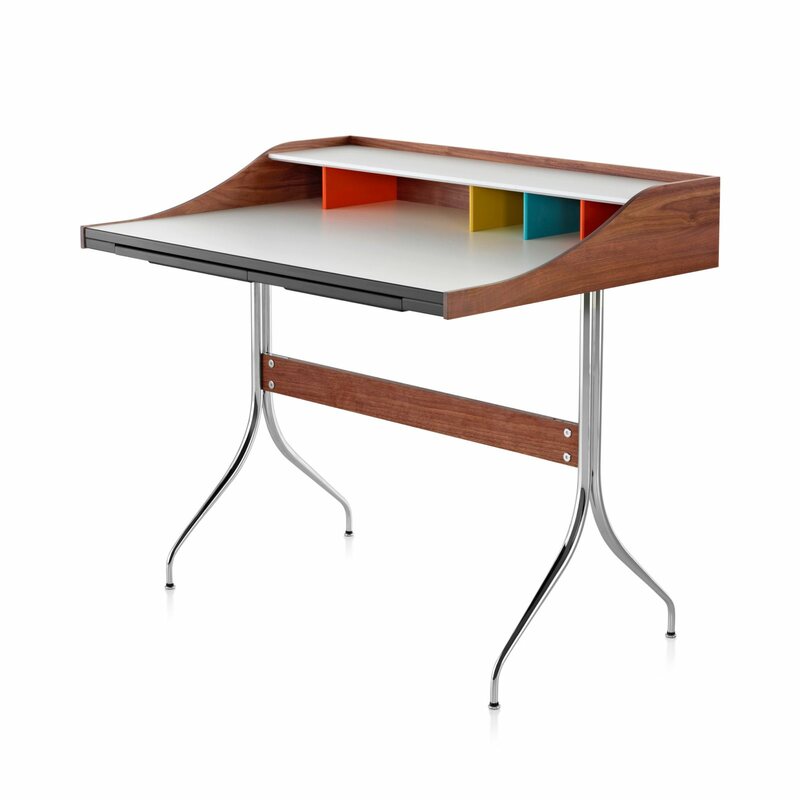 Although introduced in 1958, this distinctive home office desk seems to have been designed to fit today&apos;s compact electronics perfectly. 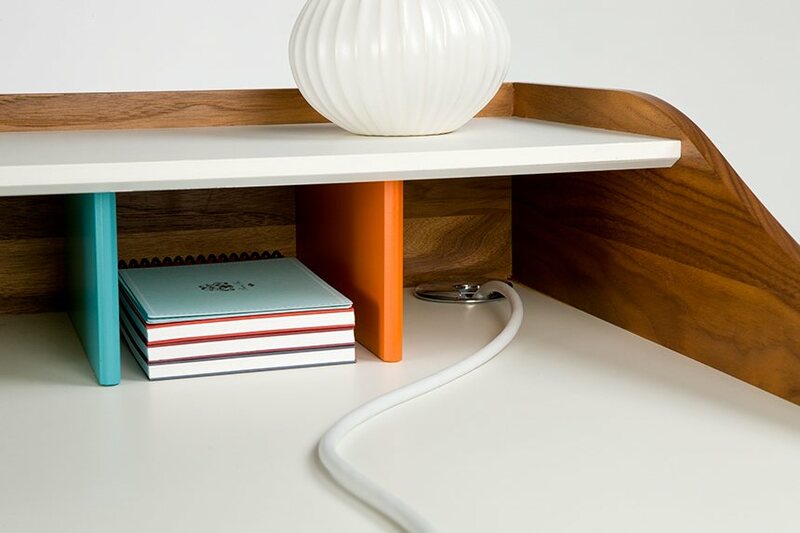 It&apos;s sized perfectly for a laptop, MP3 dock, and iPad. 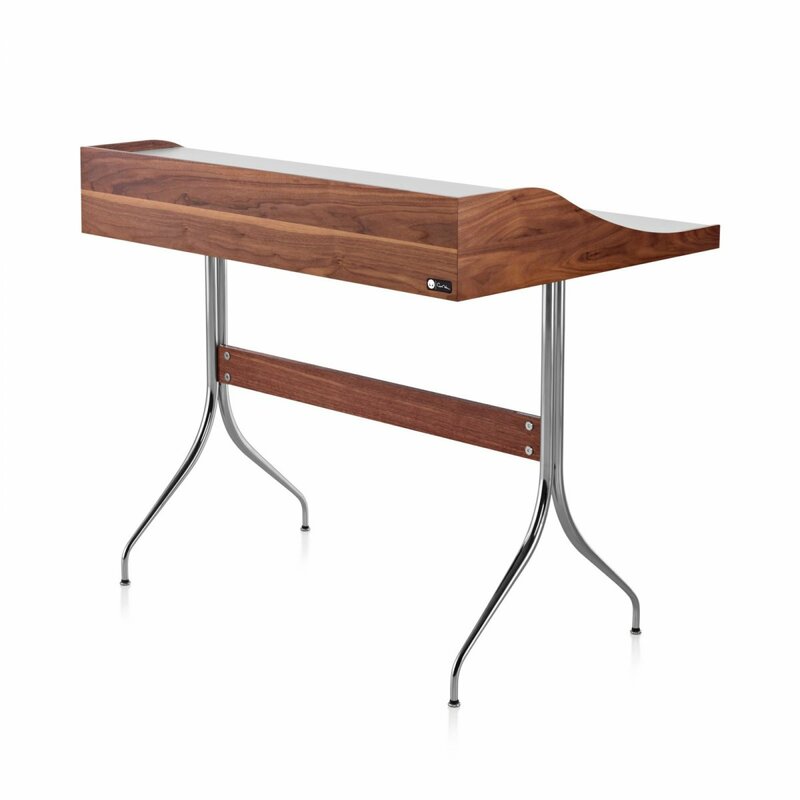 It makes efficient use of space and fits easily into your home office, kitchen, family room, or main living area. 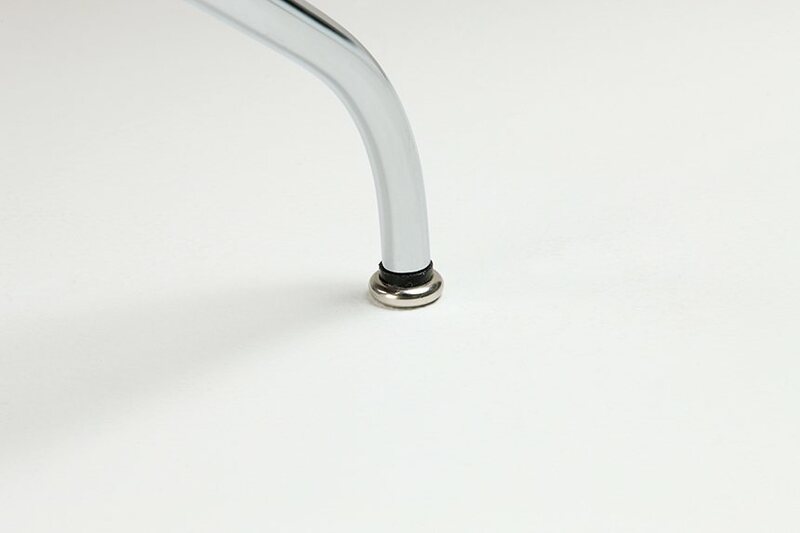 A handy grommet is added to the back of the desk for efficient cable management. 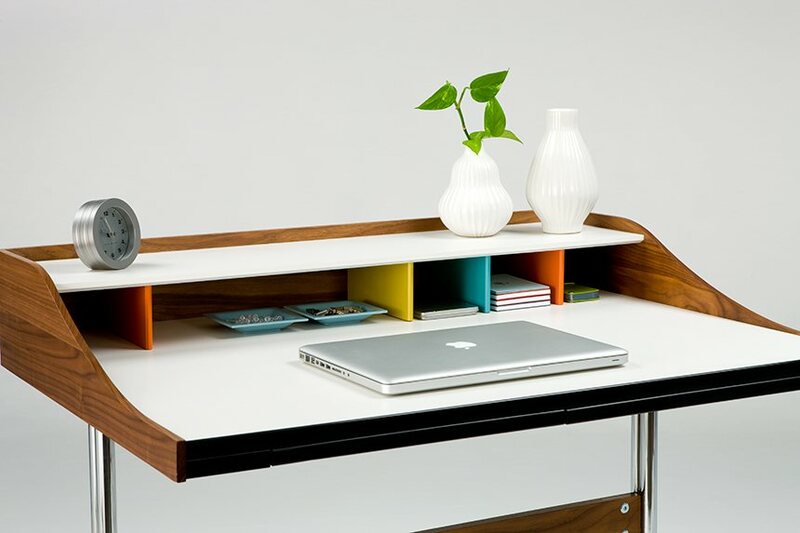 Colorful cubbyholes at the back keep materials organized and at hand, and one fits a laptop computer. 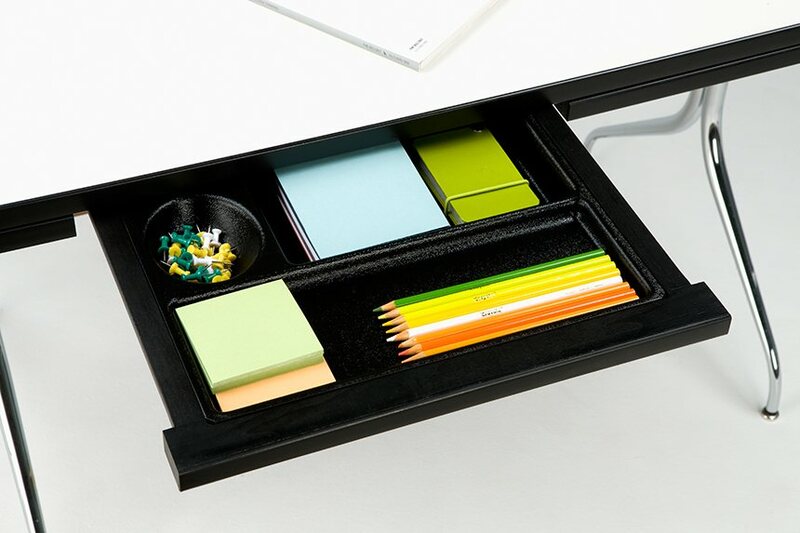 Two moulded plastic drawers store small items.